You may think you’ve heard it all, but what about Neolithic metal? !!! Chatalhüyük is a new project, formed by members of Kartikeya and Grailight from Russia. As the band states, “Chatalhüyük is the first neolithic metal band in history of homo sapiens! Founded in 7.418 year B.C. 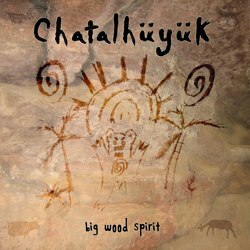 in the mountain-caves of Cappadocia!” They have just released their first single entitled “Big Wood Spirit” from their upcoming debut full-length album and you can enjoy it in their official Facebook profile. Prepare for melodic death black metal with a weird unusual symphonic touch directly from the Stone Age.